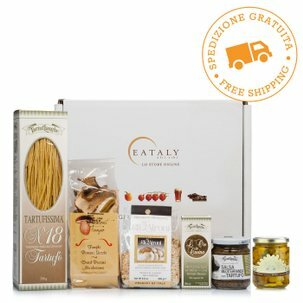 Eataly invites you to take a trip among the most profound flavours of Piedmont, and delivers to your home all the ingredients you need to easily make one of the most typical recipes of this region: tagliolini ( or tajarin, in Piedmont dialect) with truffle. Cook the tagliolini made with eggs and truffle, mix them with a delicate porcini mushroom and truffle sauce, a pinch of grey Bretagna salt and a splash of oil originating from the beautiful area of Portofino. Combine this delicious dish with a good glass of Nebbiolo, and finish off the meal with the fragrant tart with Gianduja Cream from the Luca Montersino pastry chef in Alba. Ingredients Brittany Grey Salt 200g:Food-grade salt. 65678:Steinpilze (Boletus Edulis) 46%, frische Sahne, Wasser, extra natives Olivenöl, Maisstärke,Butter, weiße Trüffelkrümel (Tuber Albidum Pico) 3%, Grana Padano Hartkäse (Milch, Salz, Lab, Lysozym [Eiprotein]), Salz, Eiproteine, Aromen, Petersilie, Knoblauch, Säureregulator: Zitronensäure (E330), weißer Pfeffer. Enthält Milch und Milchprodukte. Tagliolini with Truffle: a dish from Piedmontese tradition that has conquered Italy and the world. 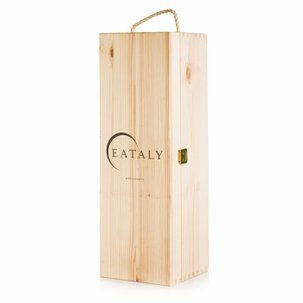 For this reason, Eataly has put everything you need to prepare it in a convenient shopping bag: 1. Tartuflanghe - Tagliolini made with Eggs and with Truffle 250g, 2. 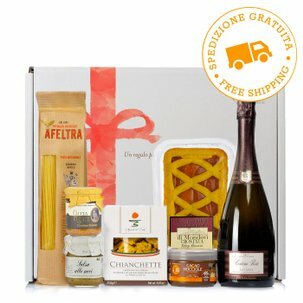 Tartufi Morra - Porcini mushroom and truffle sauce 100g, 3. Fontanafredda - Nebbiolo d'Alba Marne Brune DOC 2011 0.75l, 4. 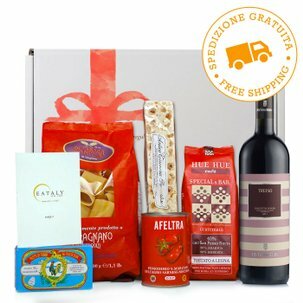 Il Mercante di Spezie - Grey Bretagna Salt 200g, 5. Niasca Portofino - Nazionale Extra Virgin Olive Oil 0.5l, 6. Golosi di Salute - Gianduja Cream Tart 300g, 7. 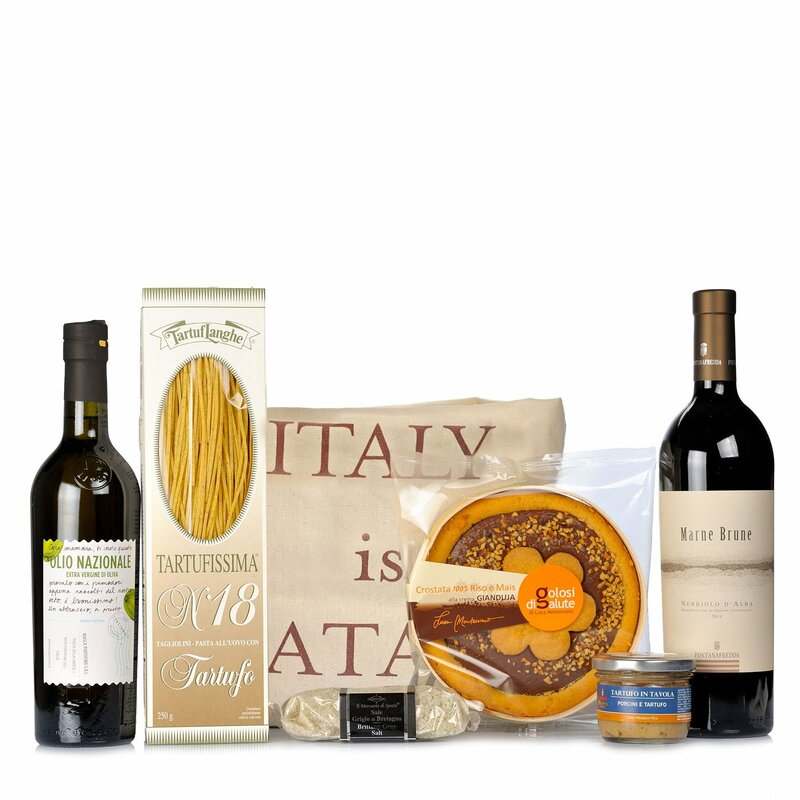 Lurisia&Eataly Big Bag.